Films can Inspire Better Writing but be Careful of Copyright! Films can be rather obvious sources of inspiration. However, as always, take care not to get into copyright infringement issues. Hence you will need to tread lightly. And you should pretty much assume any movie you see is not in the public domain. Because the vast majority of them are not. 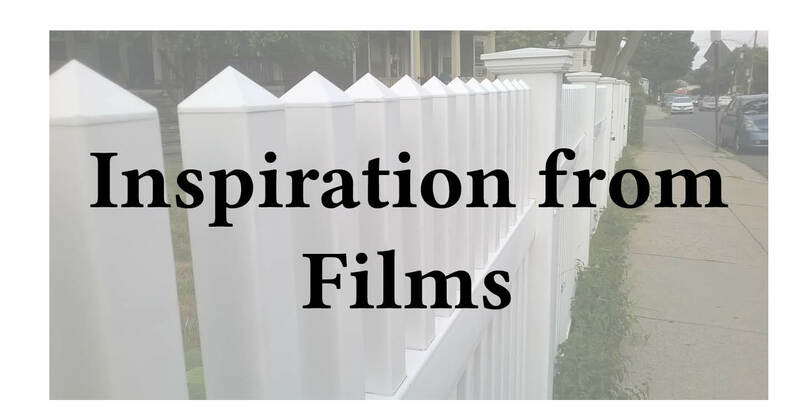 Do you ever get inspiration from films? I will use The Wizard of Oz as an example, because most of us know the film. So when we first meet Dorothy Gale, she is a teenager living on her aunt and uncle’s farm in Kansas. And everything is eerily gray in color. Furthermore, the song, Somewhere Over the Rainbow, hints at dissatisfaction. Dorothy yearns to understand and see a lot more of the world. But why is Dorothy living with her aunt and uncle, and not her parents? The absence of both parents begs a few possible questions. Maybe Dorothy became an orphan in some horrible accident which took both of her parents. Or maybe her father abandoned her mother, or they perhaps never married. Still another possibility: they are alive but gone for some reason, such as work, or missionary work, or even prison. Because Dorothy is a good person, and Auntie Em and Uncle Henry are as well. Yet that does not guarantee that her parents were good people at all. So this has already been done. It happened when the Syfy Channel reimagined the story and came up with Tin Man. And it was kind of an odd idea, but that is one way to change a film. So let’s imagine a life for the Cowardly Lion. He might have been bullied, or maybe was under stress before he met Dorothy and the others. And what happens after the story ends? Does he return as King of the Forest, the undisputed? Or does he have to fight some usurper for the title? So what happens if Dorothy loses Toto for good in Oz? Or how about if she and Toto get away in the balloon with the Wizard? Another possibility is of both of them staying behind, either voluntarily or not. And yet another scenario is if she returns home but someone comes with her, say, the Scarecrow. Yet another thing to think about concerns the making of films. When films open, they are huge collaborative efforts which include not only the writers, actors, makeup and set people, special effects, the director, and the producer. They are also a product of budgets, and of timing. When a tragedy occurs, a film might be delayed, or even shelved indefinitely. And the same thing can happen if the star dies or becomes embroiled in a scandal. Furthermore, some films would benefit from an update in special effects technology. And others would change with our current social sensibilities regarding feminism, LGBTQ rights, and other issues. I am not suggesting you copy any intellectual property. So please don’t misunderstand me. However, what I am suggesting is to think about basic plots and try to reinvent and reimagine them. Because if you make enough changes, they become your own.